Japan’s Air do offers Yubari melon soda for free. Some 40 percent of passengers select the drink, the regional carrier said. 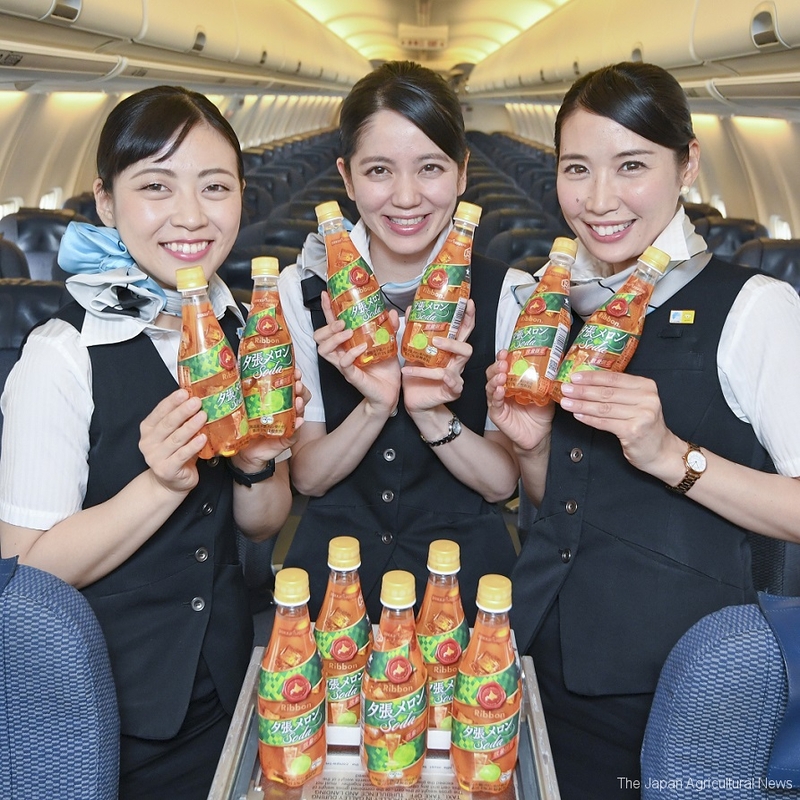 TOKYO, June 9 — Air Do, a regional carrier based in Hokkaido, offers a local specialty drink for free: Yubari melon soda. Yubari city in the northern island of Hokkaido is famous for its melons and the name is in Japan’s geographical indication systems. The drink was jointly developed by Pokka Sapporo Food & Beverage, a Nagoya-based beverage maker, and the country’s largest farmers’ co-operative JA group. Yubari melon soda was released in 2009.